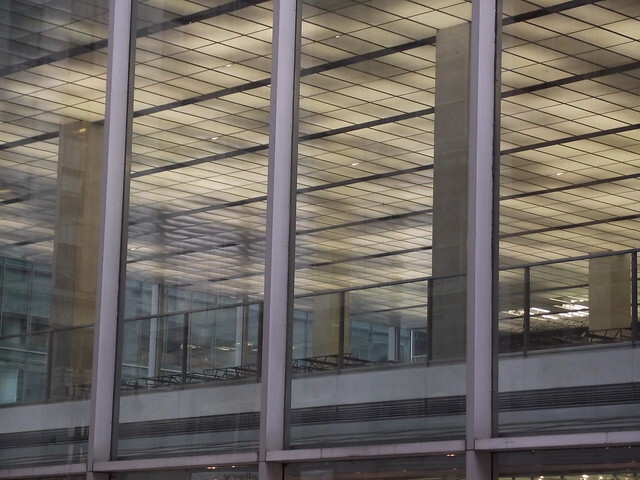 Bunshaft Goes Big-Box While Bertoia Goes Missing? 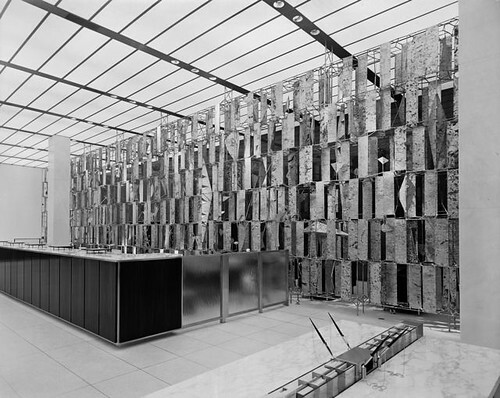 - Archpaper.com Bunshaft Goes Big-Box While Bertoia Goes Missing? 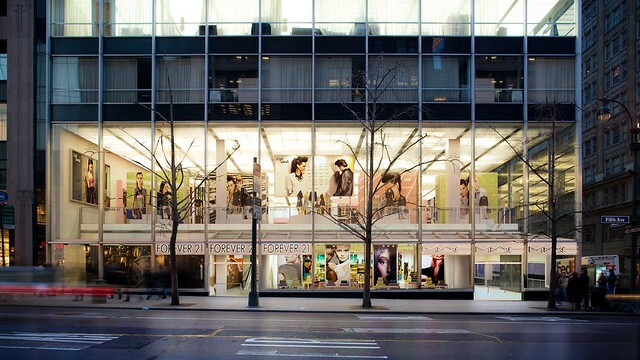 The rumors about Gordon Bunshaft’s landmarked Manufacturer’s Hanover Trust Bank building being transformed into a big-box retail store have been flying around for a while now. In March, Vornado Realty Trust reportedly entered talks to buy the five-story building at 510 Fifth Avenue. Now, we’ve turned up a rendering by 3-D illustration firm Neoscape showing the building as the type of landmark only your high school daughter could love: a Forever 21. Formerly mounted near the west interior wall, the sculpture now lies on the floor and can be seen from 43rd Street. 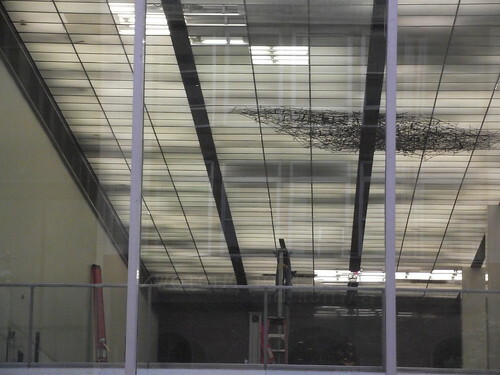 Though Bertoia’s metal mobile sculpture still hangs in the Fifth Ave.-facing windows, some of the space’s luminous ceiling tiles have been removed, and its fate seems uncertain at best. Chatting up a lobby security guard yielded an interesting hypothesis—the sculptures would be moved to Chase’s new location on 44th Street. Chase hasn’t been able to give us an answer yet, but we’re banking on one soon.